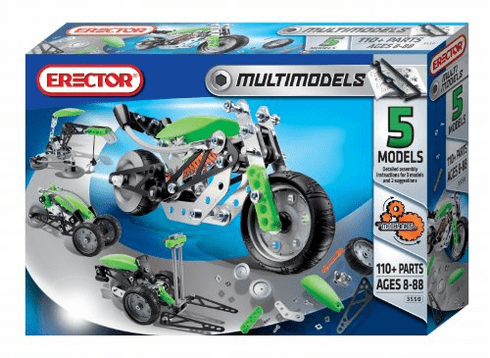 The Erector 5 model set includes a cool bike with shock absorber and 4 other models to build. Compatible with most Erector sets. The Erector 5 Model Set is recommended for ages 8 & up. Comes in assorted styles and colors which are subject to avilability.